RICHMOND, Va. — Glenn Burkins from Charlotte, North Carolina, is an esteemed reporter with an extensive background in mainstream journalism. He decided to give up all of his accolades to start over from the very beginning. 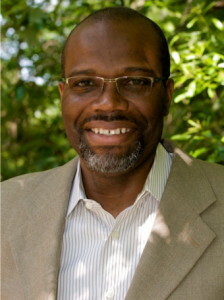 In 2008, Burkins created Qcitymetro, an online news site for the African American community of Charlotte. Before he founded Qcitymetro, Burkins was an editor at the Charlotte Observer. During his career of over 20 years in mainstream media, he was able to cover milestone events like Rwandan genocide, the Ebola outbreak, and election of Nelson Mandela while working as an international correspondent in Africa. Burkins was aware of the opportunities he experienced as a mainstream journalist, but he was leery of the changes approaching in mainstream media. He says he was not having as much fun as used to as a journalist and also noticed that these changes led to cuts, so his future was uncertain. He adds that once his mother passed, he knew that he needed to take the risk. Dee Dee Strickland of Charlotte, is the senior editor at the Charlotte Observer and also a former coworker of Burkins. She notes that in the late 2000’s, media companies were starting to realize that online was growing in popularity so the Charlotte Observer began to push for that effort. Because Burkins was one of the management leaders at the Observer, he had to take part in transitioning to work more online. Patsy Burkins, the wife of Glenn Burkins, also said she knew the changes he saw coming was true. As the Executive Director of Charlotte Community Services Association, Mrs. Burkins remembers how these changes were a reflection of the economy and how it affected both of them. She says her husband transitioned into starting the site right before the recession hit. “While he may not have known how bad it was going to get, he knew it was coming. I knew it was something he was compelled to do,” said Mrs. Burkins. Mrs. Burkins added that her husband wanted to focus on a niche market for his website with the African American community. She believes that African Americans are always aware of when coverage in their community has gaps and holes in it so it was necessary for him to fulfill the responsibility especially for this community. “When you look at the demographics of this area, people of color may be forty percent going on fifty percent, maybe even more in the nation so it just made sense,” Mrs. Burkins said. Burkins says that he is not particular towards singling out any news organization for their flaws in minority reporting, but instead feels that he has a better opportunity in servicing this community. “I don’t think any mainstream newspaper does a particularly good job of covering the African American community because they simply don’t have the resources to do that,” Burkins said. Lashawnda Becoats, a lifestyle writer for Pride Magazine in Charlotte, worked closely with Burkins in launching the site as a graphic designer and a contributing writer. She says they were looking for a direction for their potential readers and figure out what would draw them to the site. Acknowledging that Charlotte already had a magazine and a newspaper devoted to the African American audience, Burkins wanted to have an online focus. That was something that had not been done. “If I wasn’t the first person to do it for the African American community, I was along the first ones to do it nationally and really focus a local product for the African American community,” said Burkins. Becoats found Burkins’ initiative for this demographic to be timely for the transition to an online platform. Audrey Wallace, a local real estate broker, uses Qcitymetro as a platform to advertise her business. She says she originally thought of it as an opportunity to support Burkins’ website, while he supported her business. She finds that Burkins adds a personal touch to reporting in their community and has a great sense of integrity. “My church had a black history event going on and I called him and asked could he be here and he came and took pictures and it did appear in Qcitymetro,” Wallace said. Wallace adds that his site is also a great way for the community to stay informed and know what’s going on in the city, and at the same time see the African American community in a more positive light. Burkins says that people have come up to him in public or sent him emails of appreciation for the work he does with his site. He uses those moments as motivation for the days he wants to give up.